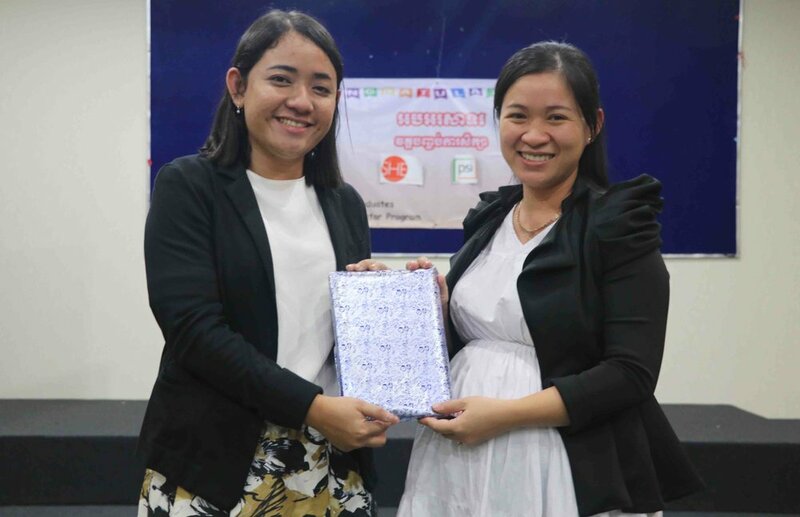 The SHE Incubator Program is our inaugural program, first piloted in Cambodia in 2015. Since then we have worked with more than 150 women through our 6-month incubator, designed to work with micro-sized businesses with less than 5 paid employees, to help them scale. Women micro entrepreneurs make up the majority of the business sector in Cambodia. For this reason, we design gender-specific and culturally tailored business training and mentoring programs that address the specific barriers female Cambodian entrepreneurs face, and provide them with the tools and resources they need to overcome those barriers. Participants in SHE Incubator Programs have both rural and urban based micro and informal enterprises, across all sectors. They might be an early-stage startup with a tested product, or they might be an established family business in a rural village. We partner with organisations and communities around the country to design and deliver industry-specific incubator programs, tailored to meet the needs of the program participants. We collaboratively co-design programs with our partners to ensure the best results for the women we work with, and their communities. Program: Working with 30 women-led, village-based micro enterprises across a variety of sectors. All business owners were rurally based in Kampot Province, mostly with low education backgrounds and operating in the informal economy, accessing informal markets. Program: Working with 54 women across 3 program groups, all participants were female midwives that were part of PSI Cambodia’s network. The program was designed to improve and scale micro health clinics, in turn creating improved health outcomes for communities. Program: Working with up to 15 women who run WASH enterprises in Siem Reap Province. All business owners are part of iDE’s WASH network of construction businesses that build a sell latrines to rural households, in order to reduce open defecation in villages. This program is currently being implemented. More to come soon!